1. One size fits most, fully adjustable suspender length sizing with an elastic slider on the piece that connects to the back of your pants. 2. Replacable CR2032 batteries are included and installed. 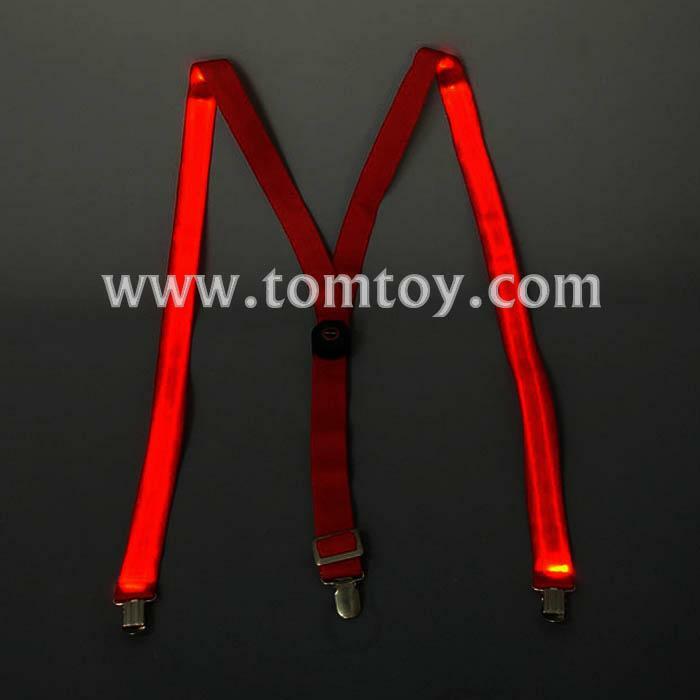 Battery pack is integrated into the strap in the back area of the suspenders. 3. Comes with 4 functions: Full On, Slow Blink, Fast Blink, Off.